Spotty cellular service prevents employees from using tablets, losing out on opportunities to enhance the in-store retail experience. Janet is an IT manager for a nation-wide retail chain specializing in sporting goods and the outdoors. She manages all IT business systems and infrastructure, helping to ensure that each store runs as efficiently as possible. Janet’s company has adopted and embraced mobile as a way to engage customers and make the in‑person shopping experience as pleasurable as possible. This includes arming employees with tablets to perform tasks more efficiently—from checking inventory for a particular shoe size or color to getting more employees out on the sales floor answering customer questions. Associates in a particular section of one of the stores are having trouble connecting their tablets to the store’s network. Janet explains the issue to the company’s carrier, but the only solution available is an enterprisegrade femtocell at a price tag of $2,999. Not only is this costly, but it must connect to the company’s network—breaking Payment Card Industry (PCI) data security standards. Janet needs a compliant coverage solution for the 50,000 sq. ft. store so that frontline retail staff can be connected at all times regardless of their location, providing valuable services to customers and optimizing sales. 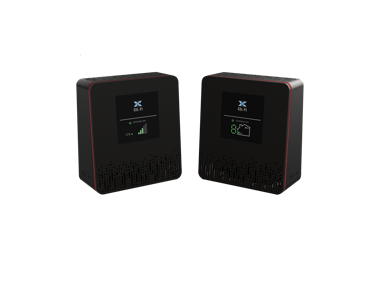 Not wanting to lose the store’s business, Janet’s carrier representative suggests the Cel‑Fi DUO+, which fills coverage gaps in areas up to 15,000 sq. ft.
She takes two systems for a trial run. 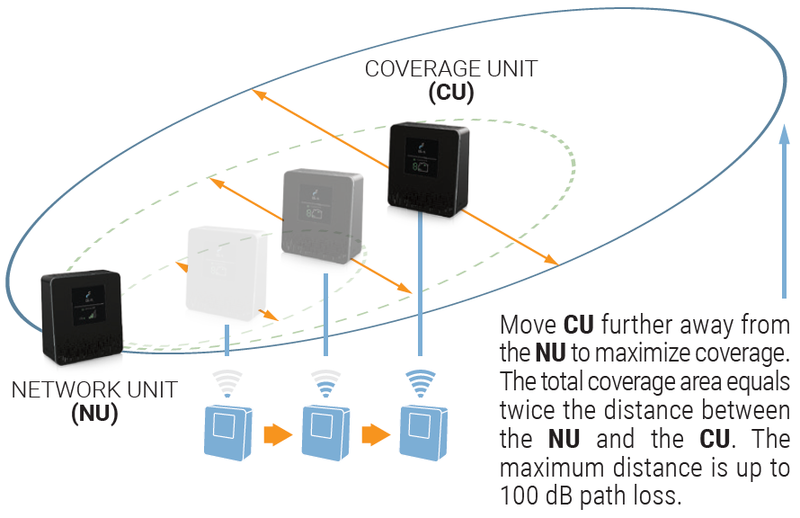 Each system is complete with one Network Unit and one Coverage Unit. After watching a video and reviewing the instructions, Janet gets to work. She plugs in the Network Units and their corresponding Coverage Units, which draw signal from the carrier’s nearby cell tower and then boosts it indoors. Within 15 minutes, coverage is restored to areas of the store that were previously considered spotty or dead zones. Janet is pleased with the value that Cel-Fi DUO+ brings to the store and purchases the two trial systems plus another system. For Janet, Cel-Fi DUO+ offers the lowest cost per decibel of gain. Frontline staff are happy that they can rely on their tablets to perform price checks, help customers complete in-store surveys, and engage in point-of-purchase marketing.